The Highland Bonnet is an item of pride for Scots. 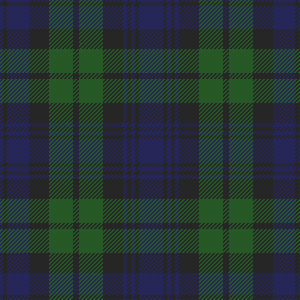 The Highland bonnet is one of the symbols of Scotland, like the kilt, that is recognized around the world. It is however, an item of dress that has a long history. The bonnet was always a covering for a man’s head. The term was originally the name for the material used in the making of this headgear. 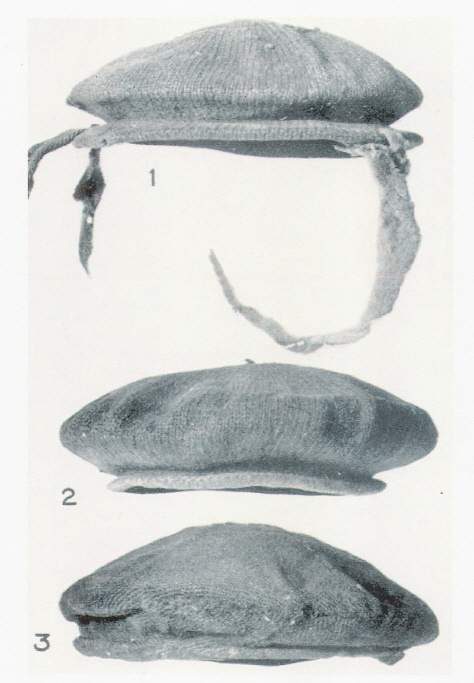 The flat knitted Scottish bonnet more than likely developed from the cloth or knitted caps worn by men of western Europe in the 16th Century.The Oxford English Dictionary states that the cap replaced the bonnet in England but was retained in Scotland (sometimes called a Scotch Cap). Bonnet making was originally a cottage craft. 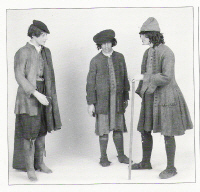 In the parish of Kilmarnock, in Ayrshire, by 1700 there were five incorporated trades one of them was bonnet making. The bonnet makers were the oldest of the trades and takes its incorporation date as 1646. Many Scottish regiments of the American Revolution list Kilmarnock caps/ bonnets as part of their regimental inventory. It seems that the town’s name became an identifier as to a particular style of bonnet, more than likely a military blue bonnet diced with red and white with green or blue accent squares. The military bonnet of the 18 th Century has a form of construction not unlike some of the early excavated examples. The bonnet maker would first select wool yarns of proper weight and then test the yarn for colorfastness and rate of shrinkage. A pattern was then developed which was worked up on multiple needles. This pattern would yield a massive bonnet that would cover both head and chin. The bonnet was then placed in boiling water. The hot water caused the wool to shrink. The bonnet was then placed in cold water shocking the wool. After which the bonnet was then placed on a form and brushed into shape. As the bonnet dried the wool tightened and became “felted”. This process was at first trial and error. The first production bonnets were often wrong in some way, the blue tops could be too big or the dicing too small. Corrections to the pattern would be made and the maker would start again. Once the form was right production could start in earnest. Each maker would produce a bonnet that would be presented to a regimental agent who would in turn present it to a regimental officer for inspection. If approved this would be a “sealed pattern” to which all the bonnets would conform.